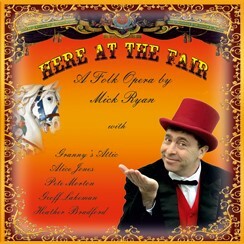 Ryburn 3 Step presents Mick Ryan’s new Folk Musical, “Here at the Fair”. 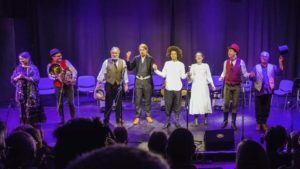 Hear the stories of a band of travelling show people in the early 1850’s through songs, monologues and dialogue, in its only scheduled performance in the North and only performance outside a major festival. 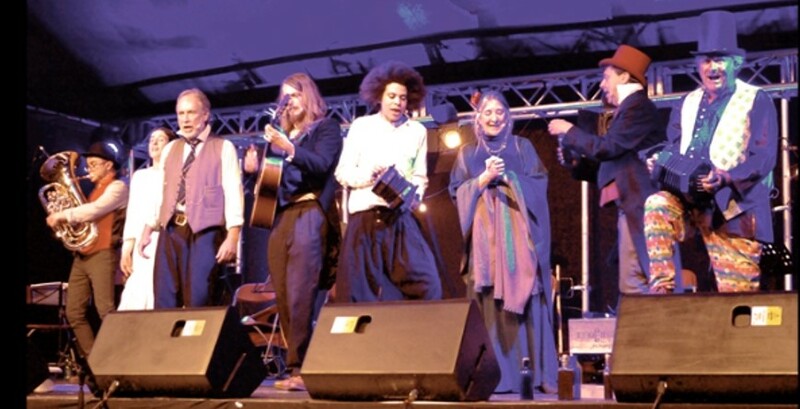 Here at the Fair includes 20 original songs by Mick Ryan, and has a stellar cast of talented performers including Geoff Lakeman, Alice Jones, and all three of acclaimed trio Granny’s Attic. Here at the Fair is Mick’s sixth ‘folk opera’. His previous shows (“A Day’s Work”, “The Voyage”, “Tanks For the Memory”, “The Navvy’s Wife”, and “The Pauper’s Path”) have all been very well received and critically acclaimed (“A fantastically moving piece of work” – R2 magazine; “Another classic” – Folk North West). 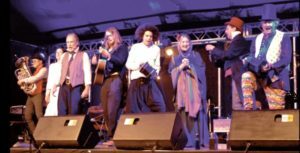 Tickets will be on sale at Ryburn Folk Club and Ryburn Barn Dances from the end of February, price £10 (£5 for young people aged 18 and under). Or you can pay at the door on the night. The scene is set at a country fair in 1850. A group of travelling showmen and women arrive, and set out their stalls. Partly inspired by characters in Dickens’ “Nicholas Nickleby” and Charlie Chaplin’s “Limelight”, we meet veteran actor Vincent Crummles and his dancer daughter Ninetta (“The Infant Phenomenon”), a clown, a quack doctor, a fortune teller, a ballad seller and a flea circus presenter. Using twenty of Mick’s original songs, along with a little dialogue, monologue and spoken verse, the show tells the back stories of this group of society’s outsiders, and puts their wandering lives of music, song, dance, lights and laughter into the social and political context of the time. 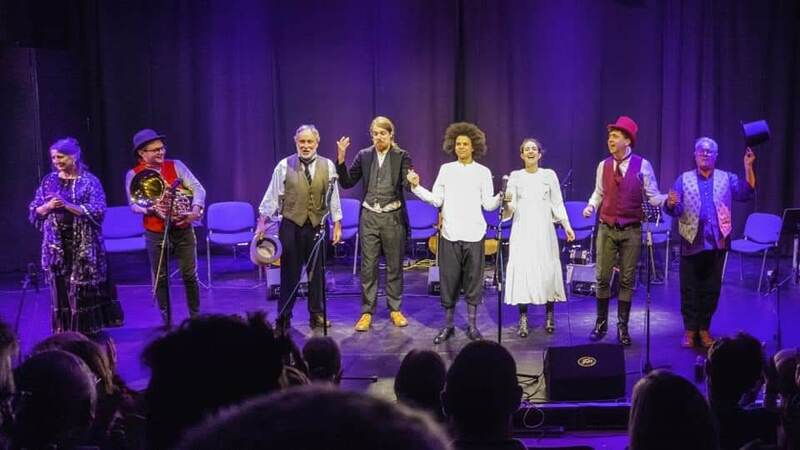 With a stellar cast of Mick Ryan, Pete Morton, Geoff Lakeman, Granny’s Attic (Cohen Braithwaite-Kilcoyne, George Sansome and Lewis Wood), Heather Bradford, and Alice Jones, this show guarantees singing and playing of the highest quality. Lewis Wood plays an itinerant violinist. The entertainers and outsiders tell their stories in the social and political context of 1850. On the 16th August 1819, 80,000 people gathered peacefully to hear the radical speaker, Henry Hunt, address a political reform meeting at Saint Peter’s Fields, Manchester. Yeomanry tried to seize “revolutionary” banners carried by the crowd, and cavalry were sent in to quell the ensuing tussle. At least eleven people were killed, and four hundred or more injured. The event became known as “The Peterloo Massacre”. In the first half of the nineteenth century, Chartism was an English movement for political reform. It advocated, by marches and petitions, the “People’s Charter”, demanding, amongst other things, universal male suffrage and secret ballots. “Great Petitions” were presented, and rejected, in 1840 and 1842. Finally, in 1848, another petition was organised, together with a march on London, and a “monster” demonstration at Kennington. Hundreds of police were mustered which, together with heavy rain, induced the leaders of the meeting to send the crowd away rather than risk another Peterloo. It is against the context of these events, together with the poverty brought about by the agricultural slump of the “hungry forties”, and the brutal “relief” offered by the workhouse, that our characters make their livings, offering entertainment and escape. Keep in touch with Here at the Fair HERE on Facebook.